Just watched HBO's documentary Thrilla In Manila - the story of the third, most epic of the Ali-Frazier battles. This is re-lived largely (and hypnotically) through the eyes of Joe Frazier, who still seethes about Ali. HBO does a great job tracking the rivalry through the years with Frazier, Butch Lewis, and Ferdie Pacheco. It is reminiscent of, but not as comprehensive as the 1997 Oscar-winning documentary When We Were Kings, which had enough footage to do 5 movies. This was Ali & Foreman's transcendent fight. But there's another central figure in this history that isn't Frazier, Foreman, or Ali. And it's not Howard Cosell either. Don King made it all happen. Call him what you will: caricature, buffoon, scoundrel, criminal. Boxing's history as we know it, is entirely because he created it. He can be all those things and still be a visionary and a genius. Once King's corrupt puppeteering of the sport became compartmentalized, his diminished power became our diminished interest in boxing. The late Jack Newfield, former writer for the New York Post wrote a book: The Life and Crimes of Don King. 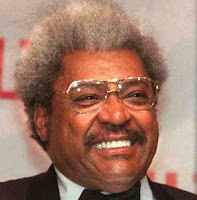 HBO later adapted it into a lesser-known made-for-TV film Don King: Only In America. HBO went soft on the title, because they were still airing King-promoted fights. The film features Ving Rhames in I think the performance of his career. He plays the perfect hero/anti-hero. The film is the story of King's rise to power, interspersed with Rhames' dead-on monologues where he even calls HBO "a bunch of hypocrites." Classic. King set up these fights by somehow negotiating with ego-maniacal dictators, getting big money from tyrants like Mobutu and Marcos. Then he had to get the fighters to play ball. He lured Ali with women, Foreman with wads of cash, and Frazier, because he knew he could. In Jamaica, King entered the fight with the champion Joe Frazier. 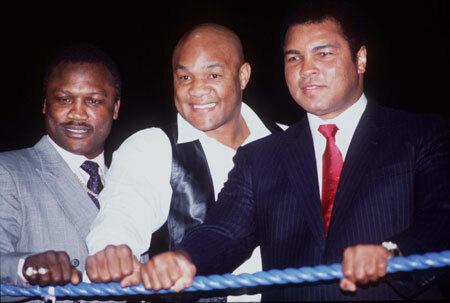 Then he left with George Foreman after he knocked out the champ in Round 2. King created The Rumble In The Jungle and The Thrilla In Manila out of thin air. A numbers-runner (and some say murderer) from Cleveland was at one time the most powerful man in sports. Only in America.